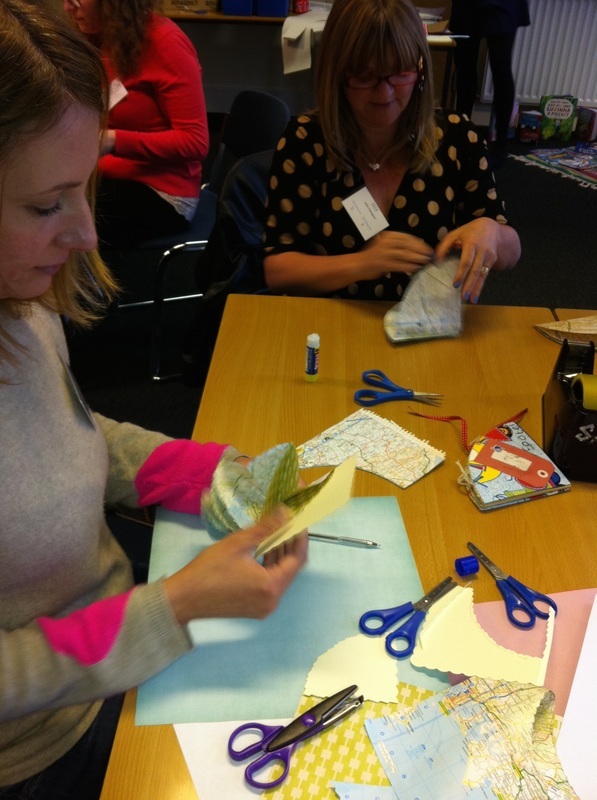 ​Staff had a relaxing time making the most beautiful books including a flowery creation with little secret pockets for tags. 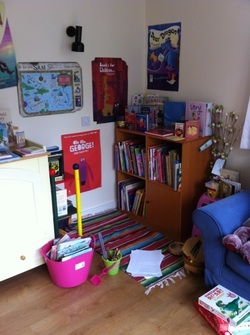 If they had a relaxing time your children will too AND they'll have books I can assure you they'll be keen to write in. KS1 had a fantastic day with @Storyshacker .... books, books and more books, even the staff wouldn't go home til they'd made one. UKLA NEWS SUMMER 2014: Rae Cordon's lovely review of the inspiring 'Finding a Voice: Raising standards in literacy UKLA National conference came to a Storyshack workshop "It was delightful to produce a little book of which I felt proud, and I look forward to giving children such a cross-curricular experience." 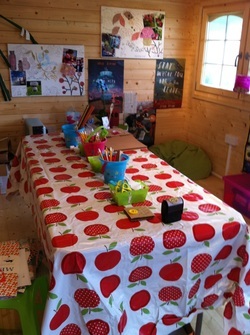 You can come+browse in Storyshack at JOY COTTAGE, have a well earned cuppa after your day + chat about books for YOU, your class/theme/school/children and/or make a book + PLAY! It's ideal for THINKING...what more could you want for some sweet inspiration? Come+relax for a staff meeting in a beautiful settings for a 'staff room'! 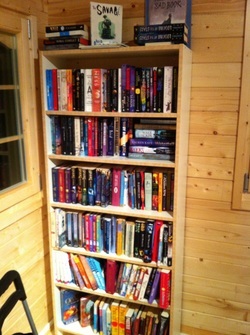 You can pop in for book advice or have your staff meeting 'in situ'. 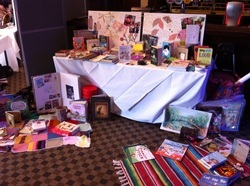 Alternatively I have some excellent boxes and a very lovely trolley with which I could pack up and come to your school for CPD too.